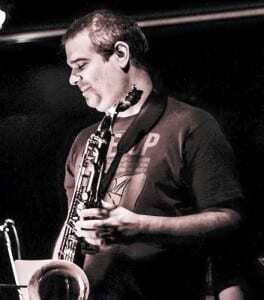 Saxophonist, teacher and arranger Rodrigo Bento is one of Brazil’s most highly regarded and respected saxophonists and is recognized as a leading musical authority on the instrument by fellow professionals and students alike. He has performed countless concerts and made numerous recordings with some of Brazil’s leading artists including Raul de Souza, Bocato, Serginho Trombone, Jota Quest, Ara Ketu, Banda Black Rio and Saxomania. He received his BA in saxophone at UFMG. His lyrical and sweet tone demonstrate his training in classical music but his fiery improvisations leave you in no doubt of his serious Jazz credentials.